Independent figures for the past three months show that .GENT is the city extension with the fastest growth rate in Belgium. At European level, the extension ranks sixth, and it even ranks thirteenth at global level. The .GENT Internet extension has always had the ambition to achieve stable and sustainable growth. And this approach is now bearing fruit. Until today, more than 2631 .gent domain names have been registered. Statistics reported via the independent website new gTLD Statistics for the number of registered domain names show that .GENT is the most popular geographic extension in Belgium, if we look at the net growth over the past three months. At European level, .GENT ranks 6th, and the gTLD even ranks 13th at global level. By the end of last year, the city of Ghent has begun the transition to the .GENT domain names. Citizens no longer have to visit www.gent.be; they can now visit www.stad.gent or www.sluikstort.gent. In the meantime, the .GENT extension has become quite popular. New websites for e.g. 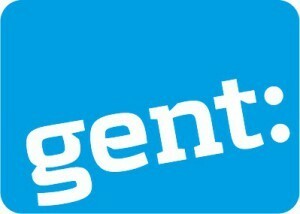 events like the Gentse Feesten also start using .GENT instead of .BE extensions (www.gentsefeesten.gent). We also notice that young entrepreneurs and start-ups of Ghent go for a .GENT too. Just think of www.recht.gent or www.venue.gent. And the catering sector also starts to show interest. You can now eat sandwiches in Ghent at www.mondvol.gent. And those who are dying for some fries can visit www.zorro.gent.